Advancements in dentistry now make it easy to maintain and improve oral health. At Affordable Dentistry and Orthodontics, we stay updated on the latest innovations, so we are able to provide superior dental care that leaves our patients with happy and healthy smiles. The team of dentists at our Dumfries, VA, office boasts impressive credentials and professional experience. They work together to create individualized treatment plans for each member of the entire family. Whether you simply require regular teeth cleanings, or you want to learn more about invasive procedures such as implant placement, we can pair you with an on-staff dentist who can meet all of your dental needs. Dr. Sharieff, the owner of the dental practice condominium, wishes to offer local families comprehensive dental care characterized by a thoughtful and compassionate staff. Dr. 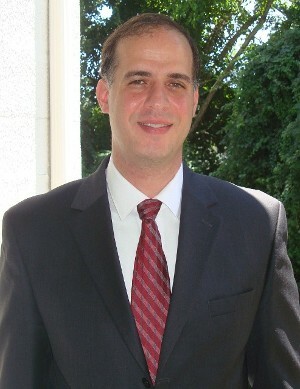 Silk is the first of our associate dentists and, in 2012, was nominated as one of the Top Dentists of Northern Virginia. It is because of these two professionals that our practice has gained a reputation for personal services that are perfectly tailored to the requests of patients. By undergoing additional and continual education, our leading dentists deliver satisfying results using cutting-edge techniques and methods. Looking for Emergency Dentists in Montclair and Surrounding Areas? Dental emergencies often result in oral discomfort and pain. If you or a family member needs the help of emergency dentists, don't hesitate to consult our office! We offer immediate appointments in your time of need. We are able to perform a number of different procedures on short notice to help our patients get the proper care and comfort they need. If accidental trauma or severe decay is making it difficult for you to chew or speak, it is important that you seek out a dental professional as soon as possible. For more information about the dentists from our practice, simply contact us at your earliest convenience. Patients can also take advantage of senior and military discounts. We proudly serve patients from Dumfries, Montclair, Stafford, Manassas, Quantico, and Triangle, Virginia. Ask us about senior & military discounts. We also offer discounts for no insurance. Monday – Friday, 8 a.m. – 5 p.m. | Saturday, 10 a.m. – 2 p.m.